Please browse our services below for more information or check out EyeSmart: Eye health information from the American Academy of Ophthalmology. Patients may be assured that our Clinic’s doctors are well versed in diagnosing and treating the most difficult and rare of eye diseases. Upon arriving for your appointment, you will be asked for a completed Patient Registration Form, Office Financial Policy, and Patient History Record. These forms can be filled out online prior to your appointment or mailed to you upon request. Please arrive 20 minutes early if you choose to complete the forms upon arrival to your appointment. Normally, general eye exams require about 60-90 minutes; more complicated exams and surgical evaluations can be 2-3 hours depending on the circumstances. 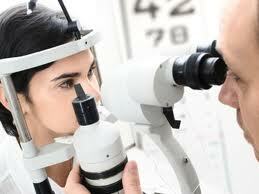 Often, our patient’s pupils will need to be dilated (enlarged) during exams. Patients whose eyes are dilated are encouraged to wear sunglasses to drive. Temporary sunglasses will be provided by our Clinic. Some patients may choose to have someone drive them to and from their appointment.